Siguanea Beach is located on the shores of Siguanea Bay, on the central western coast of the Island of Youth. 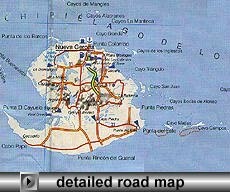 It is just 5 minutes away from Siguanea’s small airport and 35 minutes from Havana by plane. It is a 25 mile drive from Nueva Gerona brings.